Organizational development initiatives or interventions are key in facilitating global activities, and as such organization development is one way that organizational training will change in the near future. 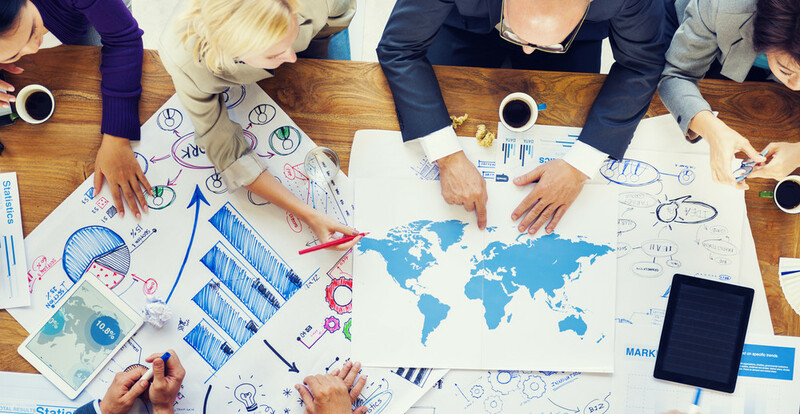 As organizations increase their presence in the global market, they will align their strategies with employee training and organization development to be better prepared for cross-cultural communication, team building, training and placement for employees abroad, and integration of domestic and foreign operations. This requires that leadership be culturally competent, which in turn necessitates culturally competent global HR management and training programs, whether in the public or private sector. Personal literacy – understanding a realistic valuation of one’s self – for the private sector leader this competency is in alignment with the government leader’s competency of “understanding of the U.S. history, U.S. foreign relations and constitutional history.” Both patriots (governmental and private sector) wish to understand who they are and the value of their nation’s position in the larger context of the rest of world’s view. Understanding one’s self in this larger context aids in not viewing experiences in the limited view of “as an American, I think… or I would…” or the like. Business literacy – focusing and mobilizing your organization – for the private sector leader this has a corollary with the government leader’s competency of “understanding of U.S. business, global economics, and key policies” for the benefit of understanding the difficulties in implementation. The private sector leader needs to be competent in focusing and mobilizing their business’ exhibited efficacy as a microcosmic ideal of the multi-faceted competency requirement for government leaders’ understanding of U.S. business relations in the global context. In other words, the private sector leader likewise needs to intimately understand the multiple financial ramifications of what they do within the organization and its effects on its host country. Specifically, HR departmental decisions and day-to-day operations will be related to workforce planning, talent recruitment, training and development, performance management, salary and benefit design and administration, knowledge management, succession planning, etc. These core HR functions and their connected key policies are all intertwined with and codependent upon the financial health of the organization, U.S. business at home and abroad and global economics. Context is everything and to grasp it is to have a level of business literacy for a culturally competent leadership team. Cultural literacy – valuing and leveraging cultural differences – for the private sector leader this aligns with the government leader’s competency related to “understanding of the evolving structure of international relationships and the influence international organizations and alliances have on influencing U.S. policies.” The comparison is understood with the emphasis placed on understanding, valuing and using the cultural differences to influence the U.S. businesses/leaders, the overseas cultures and U.S. policies; all are having an exchange that is ideally beneficial to all. Expats must have the ability to comprehend and participate in a given culture with fluidity. The culturally literate leader understands others of that culture with fluency – references, idiomatic expressions, stories, jokes, nonverbal communication, lifestyles, values, etc. The differences between the global leadership competencies’ requirements for private sector leaders versus government leaders lie in the depth and breadth of the definition of the competencies. Government global leadership competencies are more detailed and narrowly defined and private industry global leadership competencies are broader in scope and not as specific, delineated and exacting in its requirements. A few other differences are evidenced in that government leadership competencies are also focused on negotiation and security consciousness. Government leaders are representatives of their governments in more visible and perhaps assumed ways than those Americans “just working” in foreign countries in the private sector and as such must be able to negotiate and must be more security-minded as they are identified as the representatives of the U.S. in ways that perhaps their private sector peers are not. Many of the skills needed to work in a global context whether at home or abroad that are essential for good leadership are to be able to understand and work with people from other cultures; understanding, of course, means more than just comprehension of the language. For assistance in creating cultural competency models for your global agency or organization, give us a call today! Let Hureco Maverick create your next cultural competency training for your diverse workforce here or abroad.